Our beautiful girl, Daisy became poorly on Friday night when we noticed her having convulsions/tremors. In the early hours we phoned the vet and rushed in with her. Tests showed her blood sugar levels were incredibly low and she was put onto a glucose drip, but despite the best efforts she showed little sign of improving and they diagnosed her as having a Pancreatic Tumour. We were called in yesterday, and had to make the decision to let her go peacefully. When we got there the Vet was busy with another patient but the nurse brought Daisy into the room with us, and at first you wouldn't have believed there was anything wrong with her, she wandered around and sat with us all but before long she began to really tire, despite being hooked to an IV of glucose. We all agreed afterwards how lovely it was to have that special bit if time together. Then, after the discussions with the Vet, Daisy went to sleep surrounded by a family that loved her very dearly. Daisy had only been with us for about five years, when we decided to find a companion for our Westie. 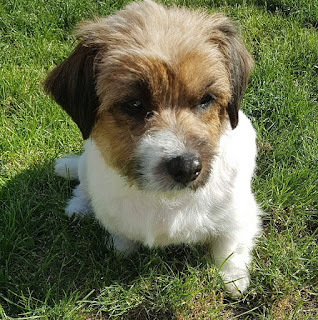 We visited a dog rescue place one afternoon, ideally looking for another Westie, and we actually hesitated at first when they started telling us about a Jack Russell cross that had been brought in by the dog warden - then we met her, and fell in love instantly. 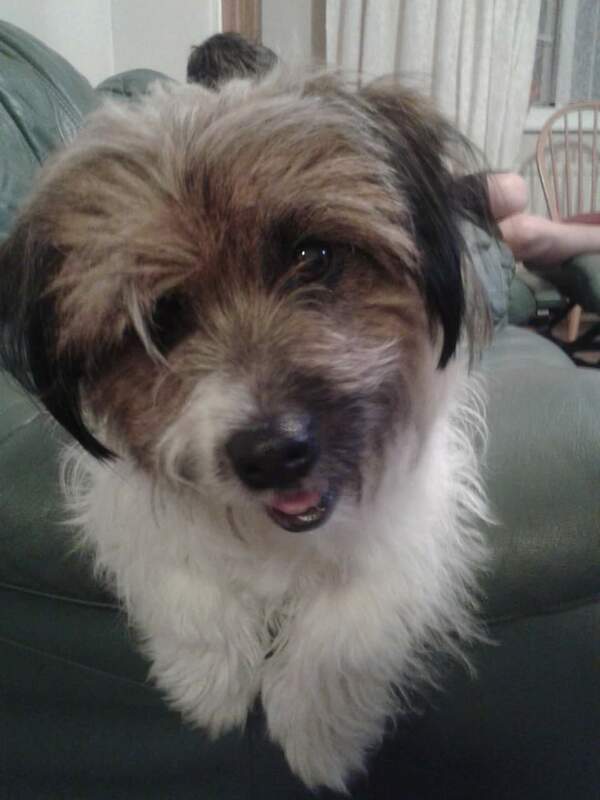 She was a nervy, timid little soul when she first moved on but with time and lots of love, she came out of herself, and became what we often described as a "bustling busy body" of a dog, and she brought great joy and happiness to our family. She was incredibly loving and just appeared to look happy all of the time......and you've never heard a dog snore like she did, lol. For now, our hearts are broken, and we are so sad to have lost her so suddenly but we know that we have so many happy memories to comfort us. So very very sorry Lisa..it just breaks your heart..thoughts are with you.. SO sad to hear your news, I know how heartbreaking it can be to lose a pet like this. My thoughts are with you all. Oh Lisa I'm so so sorry to hear of your sad news. She was definitely a well loved member of your family. Keep you chin up because Daisy would want you to be happy. Christmas with the Cuties, Let it Snow!